Please save the file with the CSV extension. Take a look at the file content. What is in the log file? 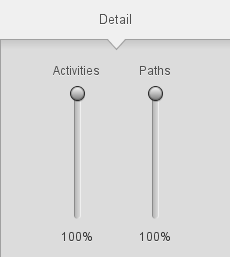 For the most complex version of the model (all activities and paths), click the „Animation” button and observe the bottleneck in the process. MXML for Prom 5, or XES for Prom 6 (including Lite 1.2). Open the exported and saved PurchasingExample event log in the event log format and take a look at how the log is represented. For the DSS classes, any version of the ProM can be used. However, a simple end-user ProM Lite version is enough. If you use your own laptop, you can install the simplest ProM Lite version. On the computers in the lab, there should be ProM Lite version available. Next take a look at the log by selecting the log in the list and clicking on the eye icon. How many cases, events and event classes the log contains? How long is the longest trace and how short is the shortest trace in the log? What is the meaning of colors in the explorer in the log inspector? Which event and which resource occurs most often? Use resource („play” button) in ProM 6.
to apply some action to the log. Select one of the algorithms (double-click). Petri net to BPMN converter. BPMN is an OMG standard for process modeling. During this class, we will discuss the basic workflow representation in BPMN language. First, Task 1 is performed. Then, either Task 2a or Task 2b is performed. Next, Subprocess is performed. After the subprocess, Task 3a and 3b are performed in parallel (this does not mean that they have to be performed at the same time). To obtain a BPMN model, you can use converters to BPMN from most mined models. In some versions of ProM, a BPMN miner which directly discovers a BPMN model is available. Remember to include the names of the group members in the report.